Welcome to www.ParklandRealEstate.biz, your source for everything Real Estate in the Parkland Area, North of Brandon, Manitoba. As part of Century 21 Westman.com, I am committed to providing excellent service while assisting you in your buying or selling process. 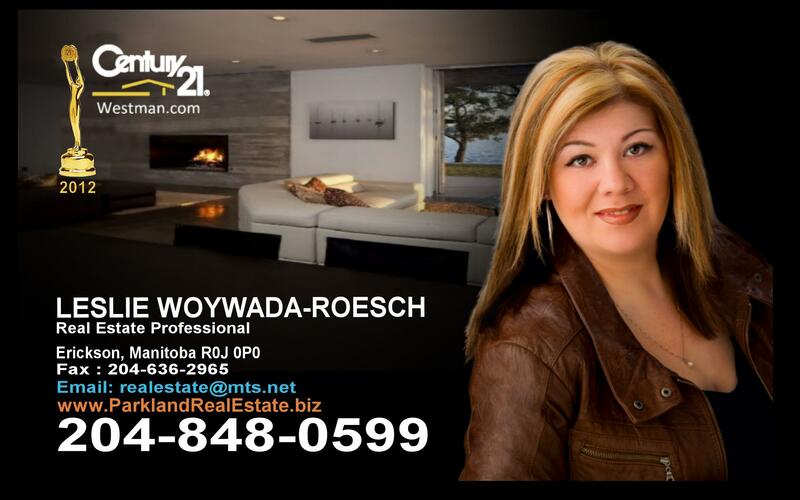 Century 21 Westman.com employs REALTORS® who distinguish themselves in today's real estate market. My personal knowledge of the local Real Estate market is combined with the power of the CENTURY 21 brand - the most recognized name in Real Estate today. It is the attention to the fine details that sets Century 21 Westman.com Professionals apart and continue to make Century 21 Westman.com THE place to buy and sell real estate in Manitoba.